Action Action formed in 2004 from the ashes of The Reunion Show, Count The Stars and Diffuser. They combine a New Wave aesthetic with a swirling guitar-driven sound reminiscent of The Bolshoi, Bauhaus, and other proto-goth bands prominent in the late 1970s and early '80s. The band signed with Victory Records and released their first album, Don't Cut Your Fabric to This Year's Fashion in the same year, played in The Emerson Theater in 2005 and released their second album An Army of Shapes Between Wars in 2006. In the same year, Action Action toured with Maxeen, Morningwood, The Sounds, Jonezetta, We Are The Fury, The Cult and Something for Rockets on various legs of their US tours. The song Paper Cliché is featured in the game MVP 06: NCAA Baseball. 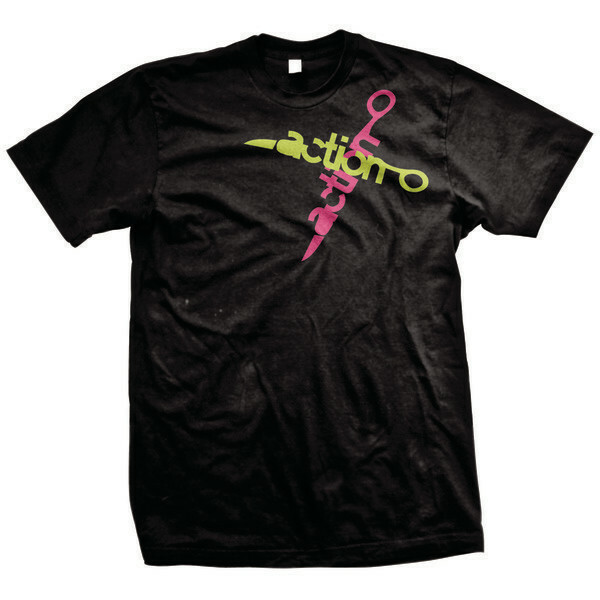 Currently, Action Action isn't signed with any label, but are working on new material to be released in 2008.